CoCoChu is a community of people who have either already discovered or are on a journey to discovering that there is a God who created them, wants to interact with them and, most importantly, loves them. We are also a family which cares for each other through the many ups and downs of life. Like all families we are not perfect and we get things wrong, but we know we are loved and forgiven and want to share this with the community of Colwall around us. On a Sunday morning there are around 60 people who meet together at 10:30 at the local primary school Mill Ln, Colwall, Malvern WR13 6EQ. 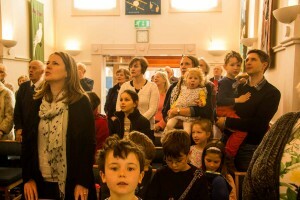 We have outgrown our building on Walwyn Road and therefore are very blessed to meet at our brand new primary school. Everyone is welcome ! On a Sunday morning each different age group of children has there own session outside the main auditorium and throughout the week there are many activities going on for everyone to connect with. When we meet together it is relaxed and informal, but we are serious about God and what we really want is to see people’s lives changed for the better as they engage with God.